In this tightly­-written war thriller, the reader is brought into the scene quickly as the author introduces the characters in situ and one by one—characters whose fates will soon intertwine through heart­-wrenching situations and pulse-­stopping events. 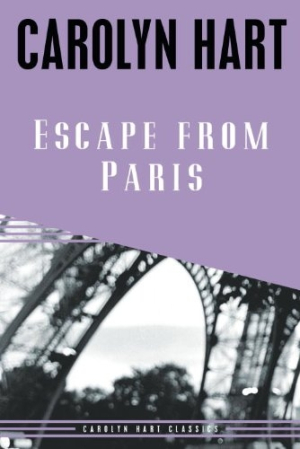 In the year 1940, during the German occupation of Paris, Lisa Rossiter and Eleanor Masson find themselves harboring a British soldier after his plane crashes. Under threat of execution for rendering assistance to enemies of the German armed forces, and at a time when the French Resistance is only in its infancy, these American sisters reach deep inside themselves for a strength they didn’t know they had. Outwitting and outrunning the Gestapo—in spite of their ruthlessly set traps for capturing hidden Englishmen and Jews—seems impossible, especially to these women who had no plans to become directly involved in anything of the kind. Hart has a way of immersing readers seamlessly into each moment of action so that their hearts will be pounding full force by the end of this story of heroism, sacrifice, and unexpected bravery. Restored to its full length from a version first published in 1982, there are no words wasted in this gripping tale; it is a page­-turner from beginning to end.